"The whole process of nature is an integrated process of immense complexity and it is really impossible to tell whether anything that happens in it is good or bad," says American philosopher Alan Watts in his popular Story of the Chinese Farmer, "because you will never know what will be the consequences of a misfortune or you never know what will be the consequences of good fortune." This is something Russian muay thai fighter Katya Knysheva found out when she recently lost a tooth from hard sparring in Phuket. But out of a seemingly horrible experience comes a powerful story on community, humility, the goodness of people, and the beautiful things we can all do when we work together. This she recalls the day the accident happened, "It was super stupid. I lost my tooth not in a professional fight but in boxing sparring with a Thai teenager preparing for an upcoming fight. He doesn't know how to control power in sparring so we had a couple of rounds of real war." Katya has 33 pro fights in three and a half years wit ha record of 24 wins and 9 losses. She only started training at 29 years old. "I didn't feel something wrong with my tooth. I only had a bit of pain in my upper lip. When I came home, my front tooth shook badly and it fell out on the next day." 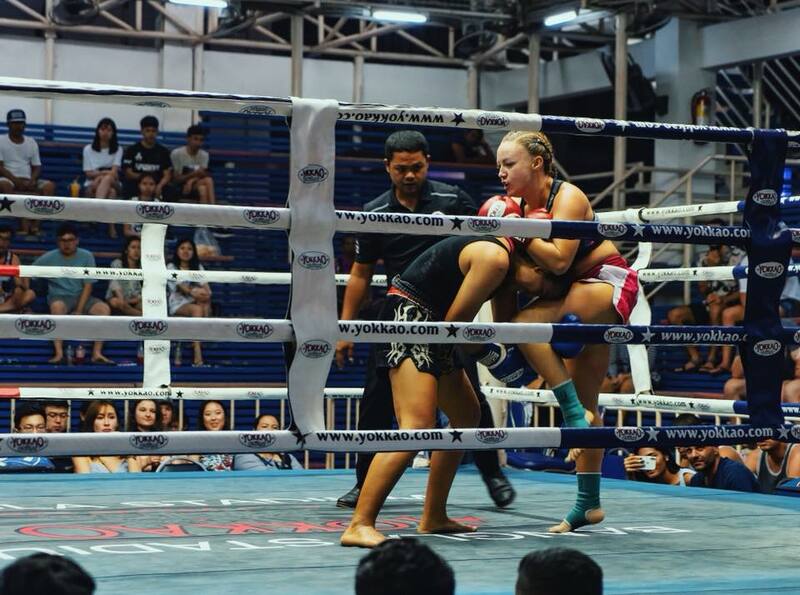 Broken bones and torn ligaments are commonplace in Muay Thai, but knocking off a tooth is a completely different story, especially for a girl, despite wearing a mouth guard. But it is nothing that cannot be fixed by medicine, right? No big deal, not the end of the world. An implant or a bridge can easily return Katya's perfect smile. But there is one problem: it costs a lot of money, around THB45,000. For a full time fighter in Thailand, this is not spare money one simply pulls out. "I was literally crying for two days because I can't afford it. On social media, I posted that I lost my tooth and asked if there are people who would want to help for any reason. I really thought a couple of friends and followers would want to help. Maybe I will raise THB5,000. I never thought so many people would want to help me and I could never imagine I can collect almost the total cost in a month. That was crazy! It touched my heart so much and I cried again but this time of happiness. I was super thankful and shocked. Even UFC Champion Cris Cyborg sent me money without asking any questions! She just saw my post on Instagram. I don't know how I deserved this but so many people wanted to help me to smile happily again. It all really melted my heart." This money difficulty would not have been a problem, would not even exist, if Katya did not change her life and pursue Muay Thai to begin with. She used to be a marketing manager in Russia but found her true passion in the popular Thai sport. "I had a good office job in Russia. I never wanted to be a fighter, never was interested in watching any fights, and never tried pro sports before. When I tried Muay Thai for the first time, I just fell in love, like there was a flash and I found myself – Real Me – who always was inside and I didn't even know. I realized then that this is what I wanted to do in my life." And she did. She left everything behind for her newfound passion - something that not a lot of people will be brave enough to do, particularly later in life when one is supposed to be going for stability, safety, and security. Imagine the conversation: “I am turning back from my successful career and relocate halfway around the world to fight Muay Thai – something I have never done before but feel really excited about doing.” Easy to say, this would not make sense to everyone for sure. The risks involved would force a lesser kind of person to cower and settle for the comfort of a traditional life while secretly fantasizing about the joy and satisfaction of living a passionate life every day. It was truly admirable, Katya’s courage, faith, and dedication. "I never had any passion before in my life, but I was always admiring people who seem to be living passionate lives. I thought I would never find my own passion: I'm too late, I'm too this, I'm too that. But when I tried Muay Thai ¬ that was it! BINGO. But I was also really scared that this passion will disappear. I spoke to my friend about it and he said 'THIS will NOT disappear'. I was so happy! And now after three and a half years, the passion is still here!" She further explains that doing what you love will keep you going despite hard times, and there will be lots of hard times. The life of a Muay Thai fighter is hard. Yes, it is in Thailand but there is hardly any vacation involved, no lying down under palm trees or long leisurely walks by the beach. Katya trains six days a week, wakes up at 6:40 every morning, runs for 40 minutes before Muay Thai class, and trains for two hours twice daily. But it is all worth it, she says, "Even when I'm dying because I'm so tired, when I can't move and talk to people, when I cry – I still love every moment of this! Because I feel alive! I feel this is real life. No need to play roles, put on masks and perform someone who is not even you. I can just be myself – real me – that's why I love it." Obviously, there will be no stopping this fighter, despite the loss tooth or anything else. In fact, it only strengthens her resolve after seeing how many people believe in her and what she does. She adds that she learned a lot from this experience, how sometimes she complains about people and forget there is goodness in everyone. "I was literally saying, 'How amazing this world and people are!' I never expected anything but so many people wanted to help me. I learned that very often I forget what an amazing place this planet is, what amazing people live here! That we are not alone. Even though often we feel like we are. We're not alone. When something bad happens, there are many people ready to help – without asking any questions! I have learned that I have to always remember that people are amazing, and I shouldn't judge, and to be thankful. All things happen for a reason and everything is unfolding as it should. All is for the better." Indeed, Katya’s Muay Thai life is here to stay. She explains she cannot imagine herself doing anything else. “I don't see myself as an office worker anymore after I experienced the other side of life. I see myself teaching Muay Thai in the future. 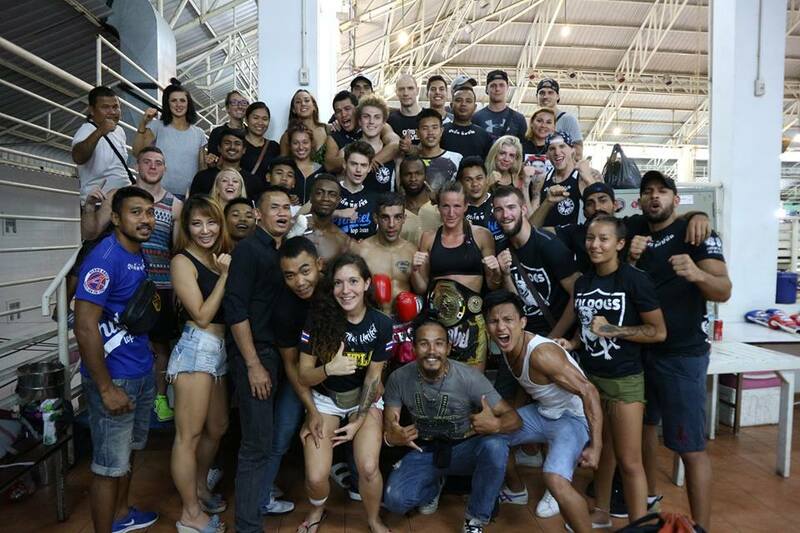 Also I want to promote female fighters in the world, to build this community and make it bigger and stronger. I really want to help other females get into it and help them to get more opportunities in this sport.” The key, she says, is to start and pursue the dream wherever you are in life. "Don't be afraid to try things. Don't be afraid of risk. Focus on what you could find – really worth it! It’s one million times better and more amazing than what you have now. Actually if you feel fear, it’s a sign that this is it – this is the direction where you should move to. Amazing things are waiting for you, things you can’t even imagine right now!" 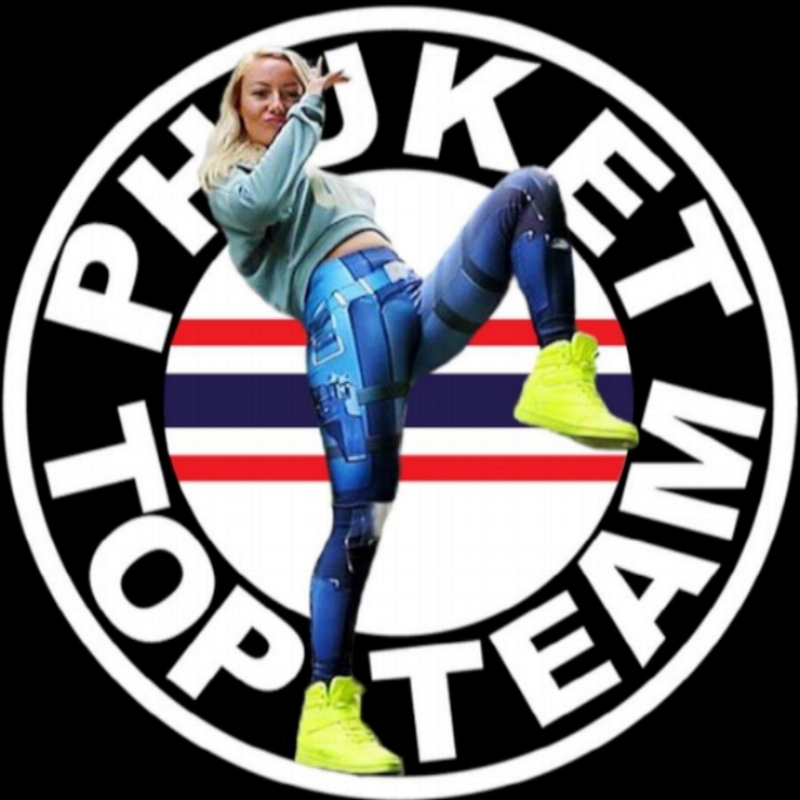 Follow Katya’s Muay Thai adventures on her YouTube channel and on Instagram @katyamuaythai. To get started on finding your true passion and creating your own a thriving life, discover the upcoming retreat by Pangea in Bali this November. More details on this holistic retreat here.